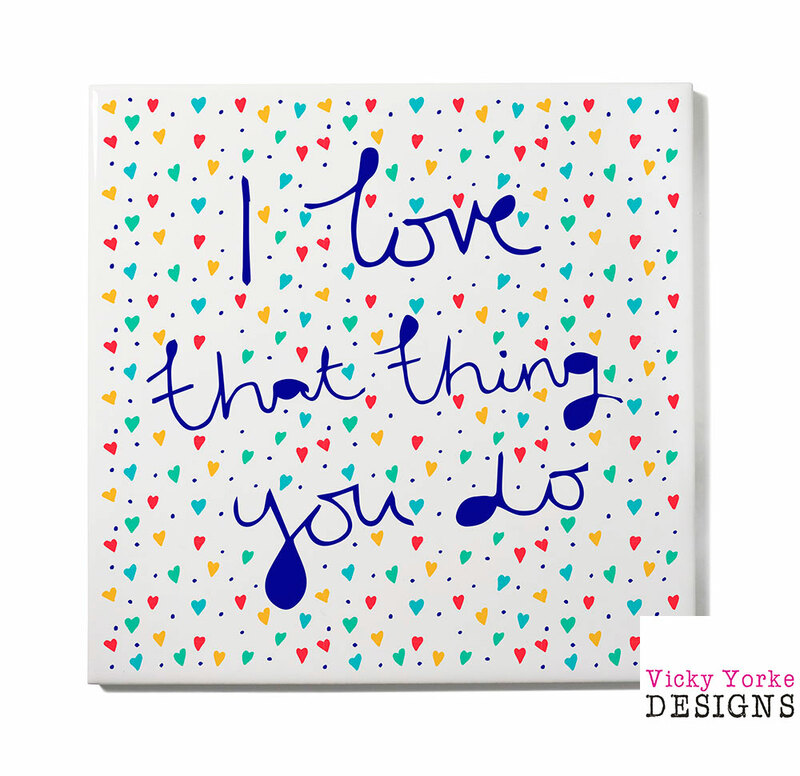 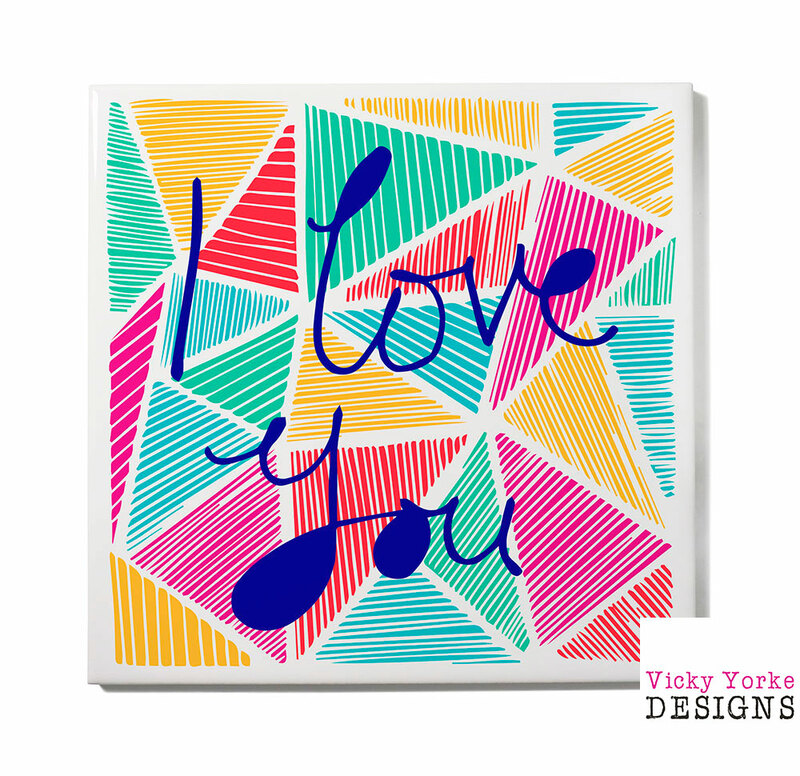 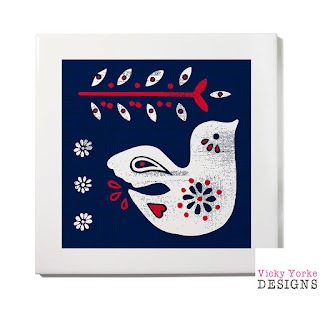 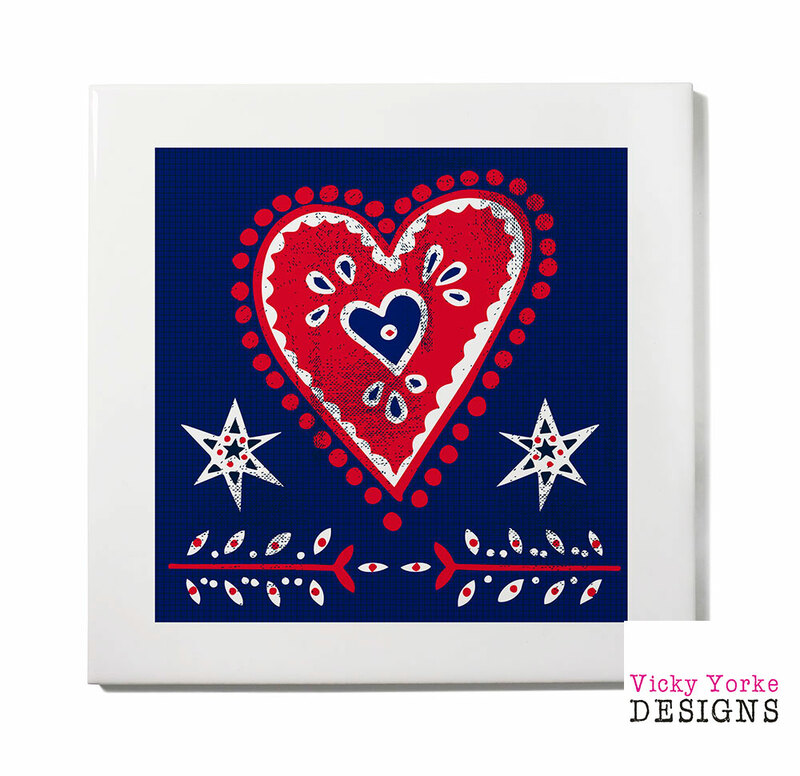 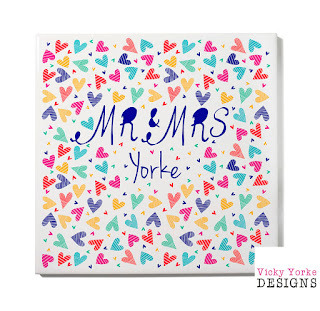 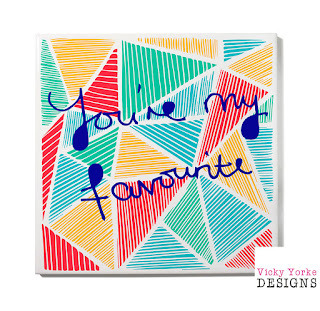 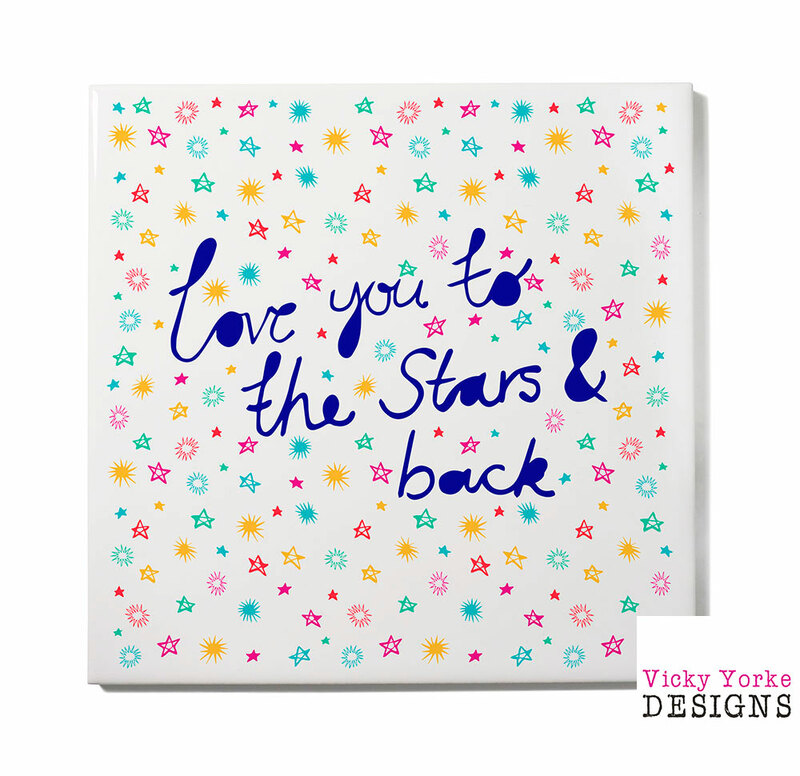 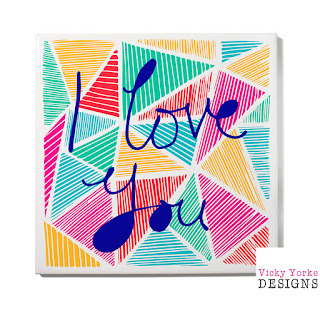 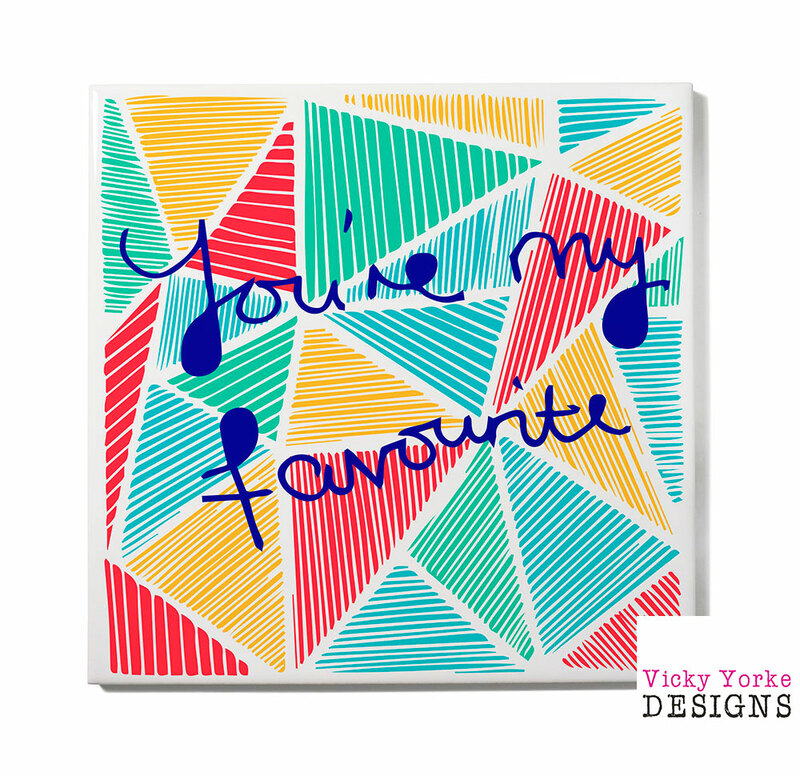 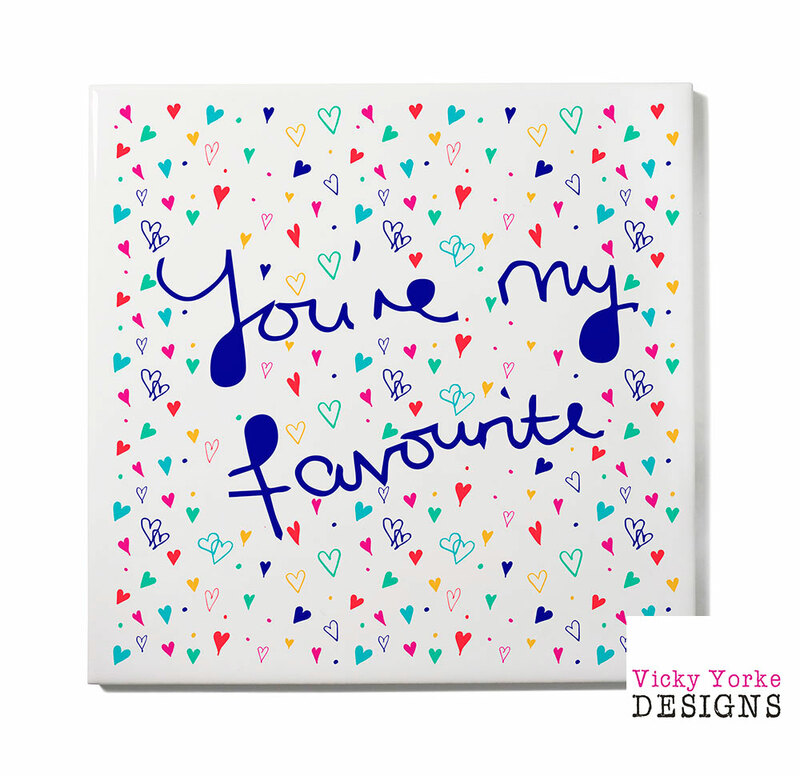 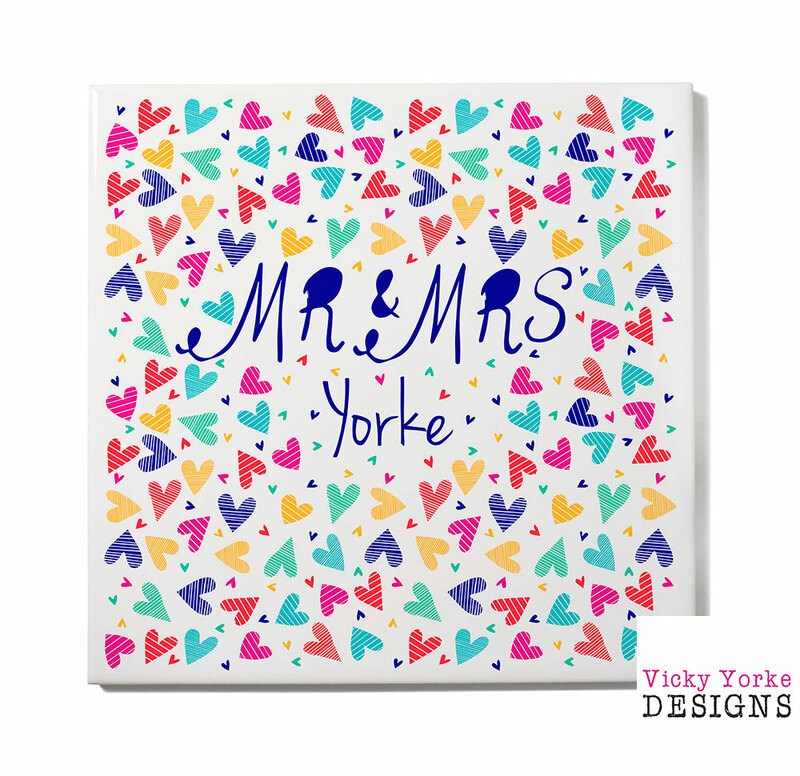 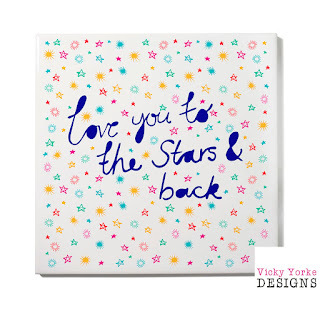 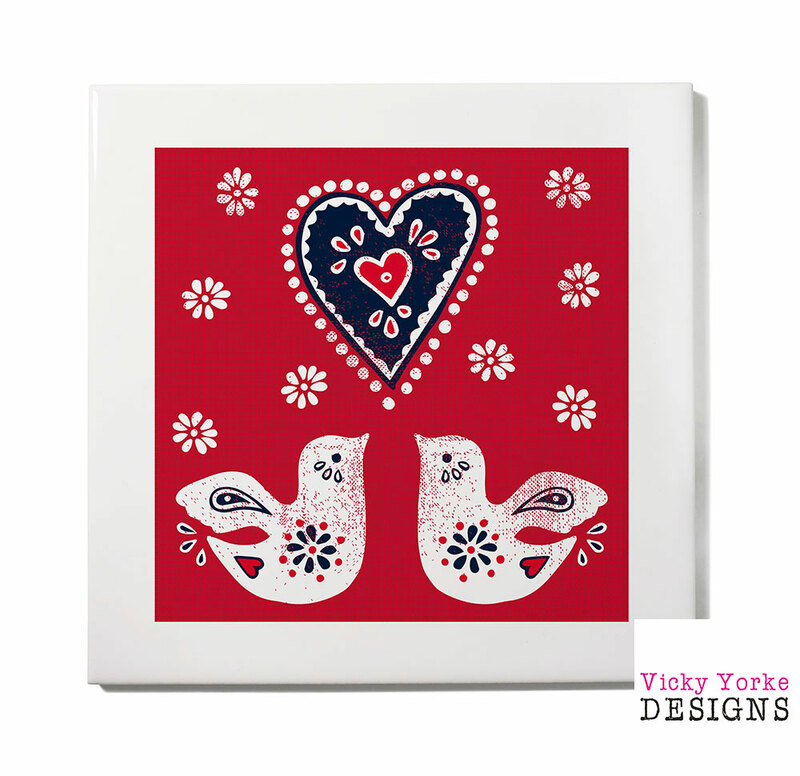 The designs featured in my last post are from my art licensing collection, Bright Hearts and are also available from my Etsy store as art tiles. 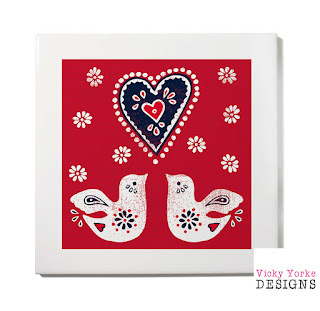 Stand them on a shelf or use a plate hanger and display them as wall art. 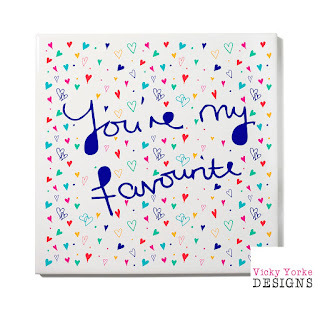 They are sure to brighten up any room and as many are available to personalise with your own special message they really are a unique gift for someone you love! 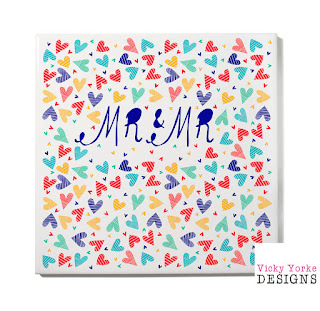 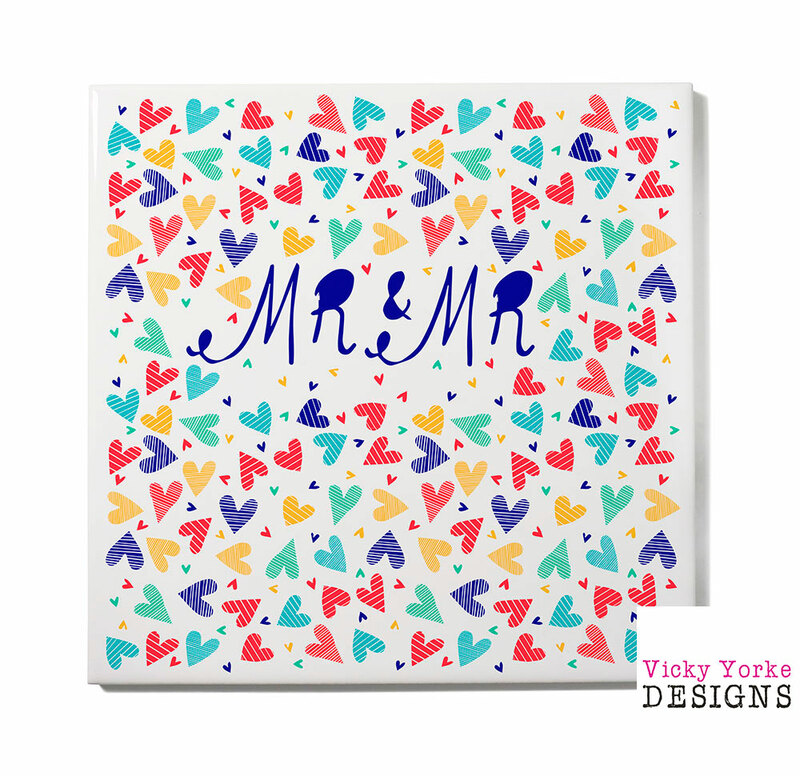 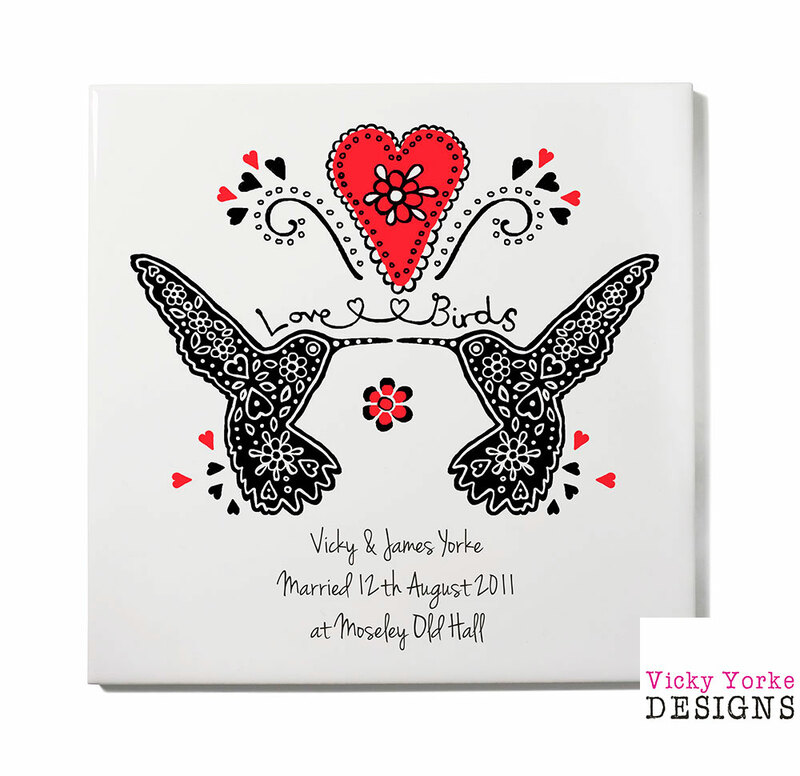 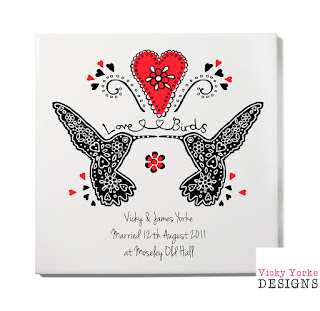 The above print is a stand alone design that is perfect for weddings, anniversaries or as an engagement gift. Below the wall tiles also feature additional folk inspired illustrations from my art licensing collection, Folk Tale. 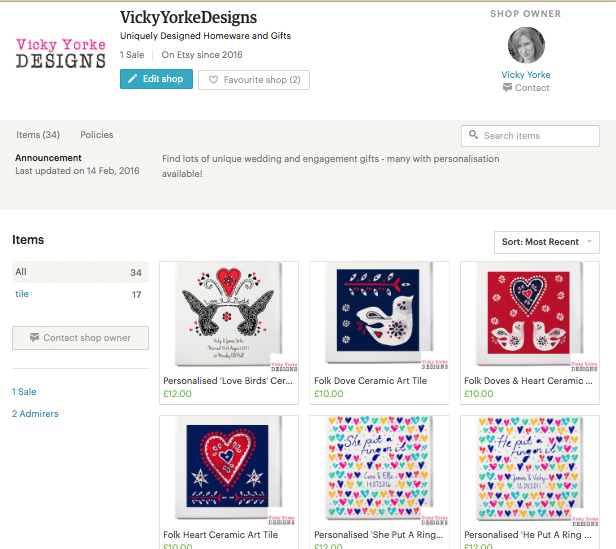 Contact me to license designs or for collaborations here. Mugs For Every Romantic Occasion! 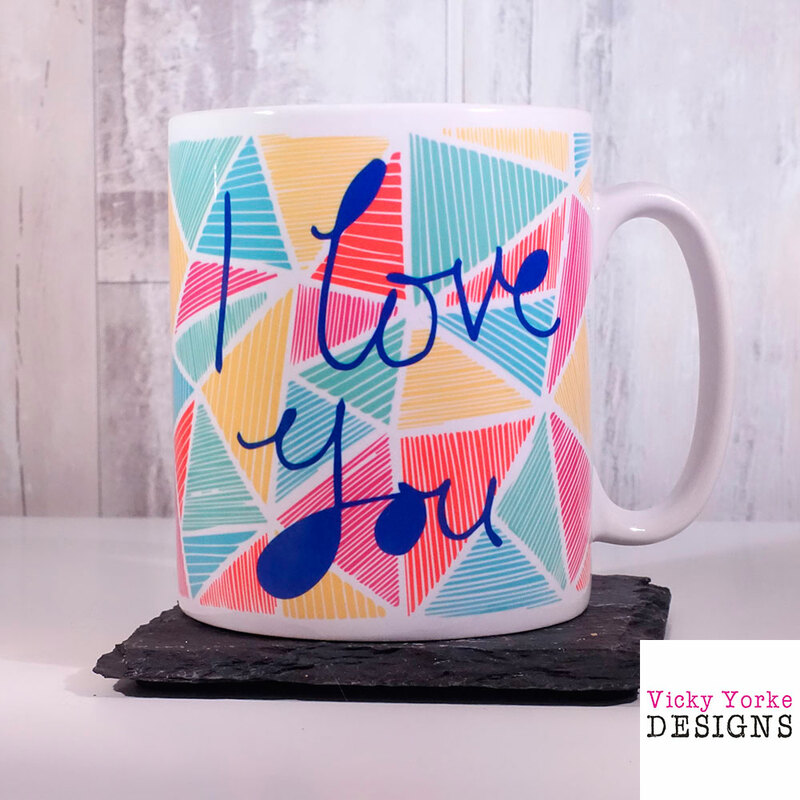 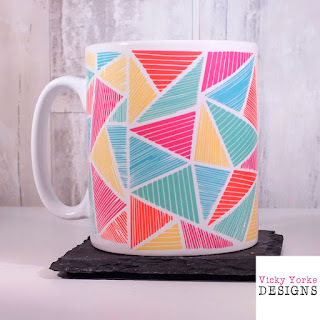 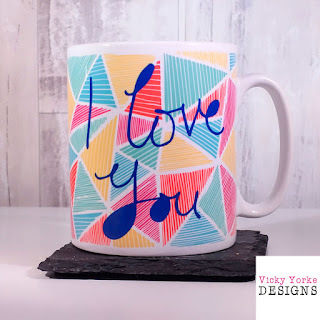 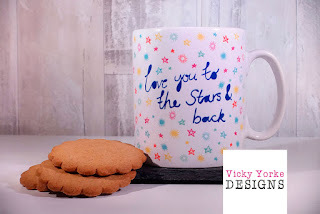 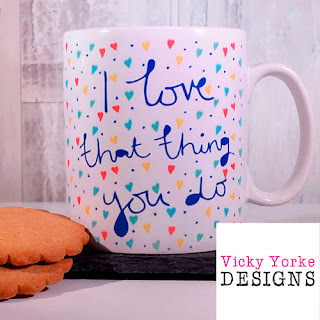 My first line of mugs in my Etsy store feature a selection of romantic designs, that are bright and fun! 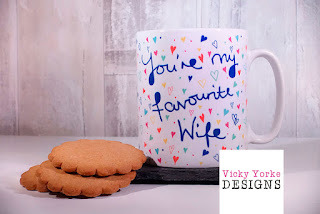 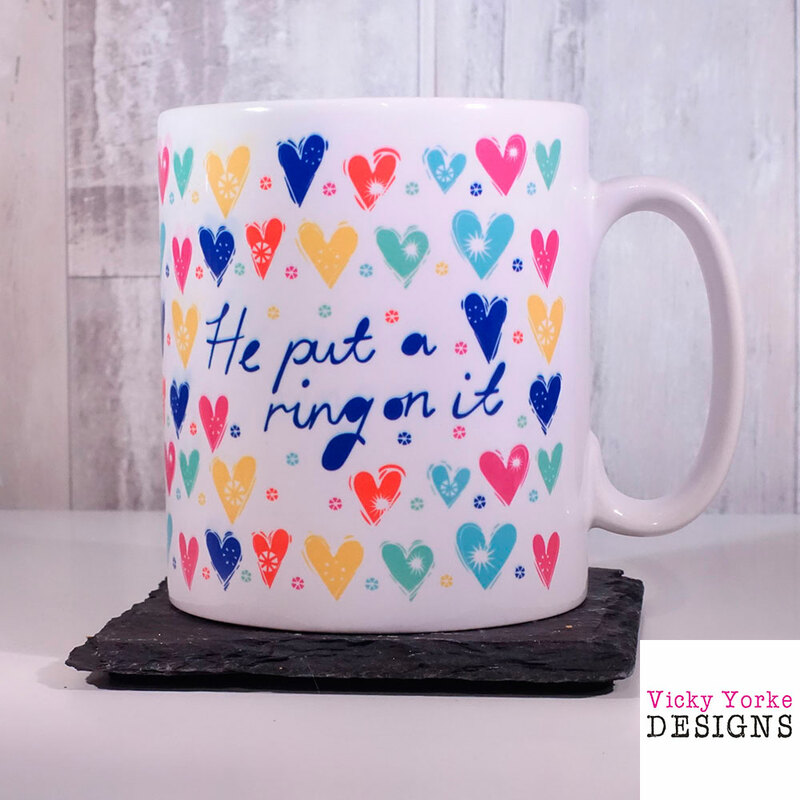 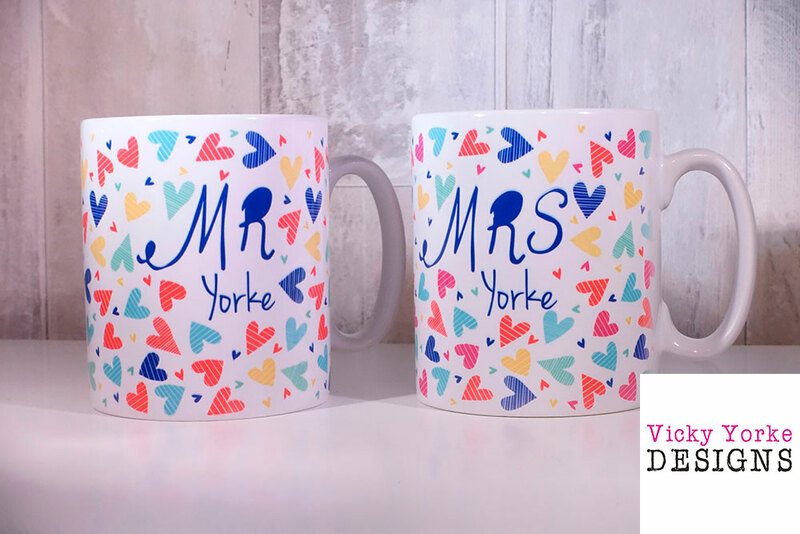 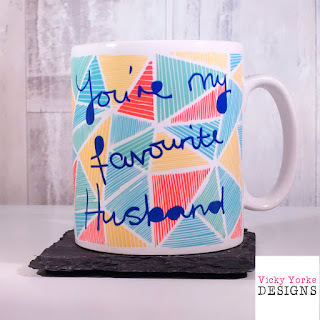 Many such as the Mr & Mrs mugs above and the He / She Put A Ring On It mugs below can be personalised and make unique gifts for occasions such as Valentine's Day, or engagement, wedding and anniversary gifts for a special couple! 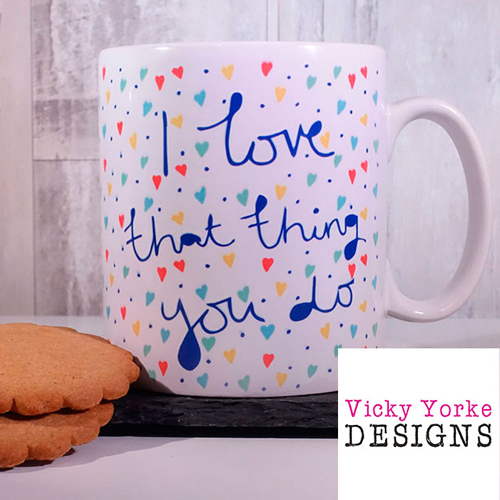 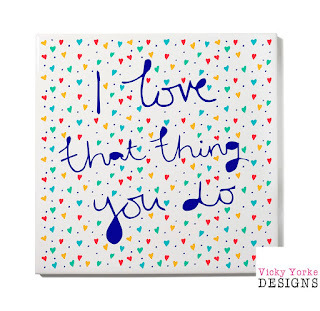 You can make your loved one smile on any occasion with one of my cheeky typography designs. 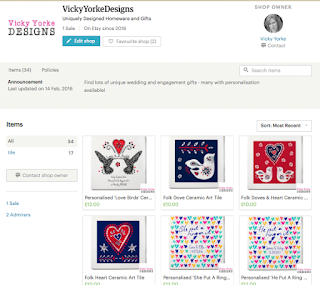 I am delighted to tell you that I have finally got round to opening my own online store through Etsy! 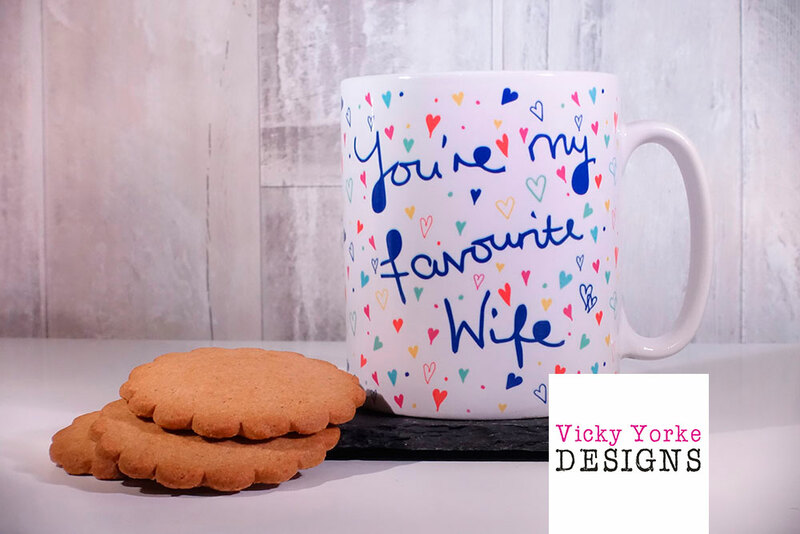 My plan is to sell uniquely designed homeware and gifts, which I will make by hand in my home studio. 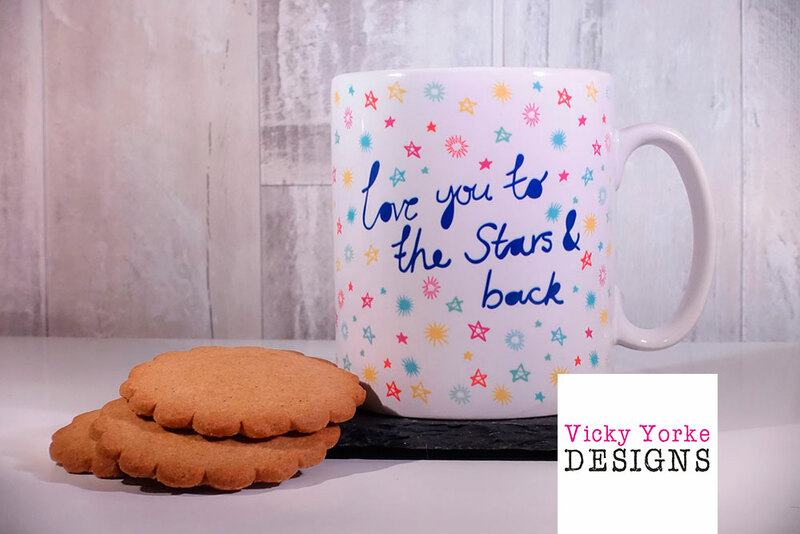 I have invested in a variety of sublimation equipment including a brilliant new printer, which allows me to transfer my vibrant designs onto all sorts of products using a heat press. 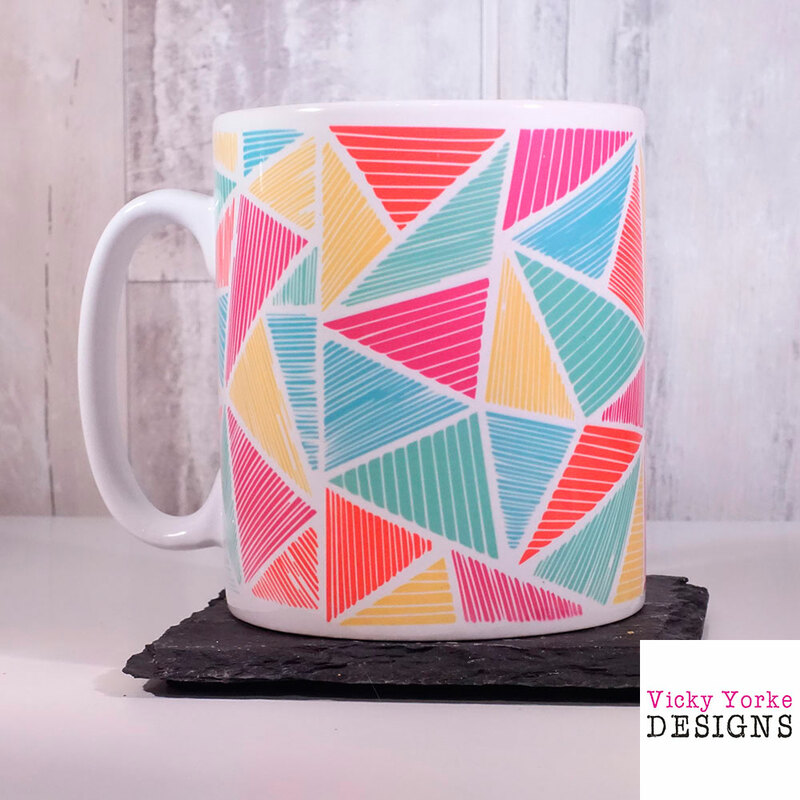 I have been testing products for a few months and am really happy with the quality and beautiful colours I am able to achieve. 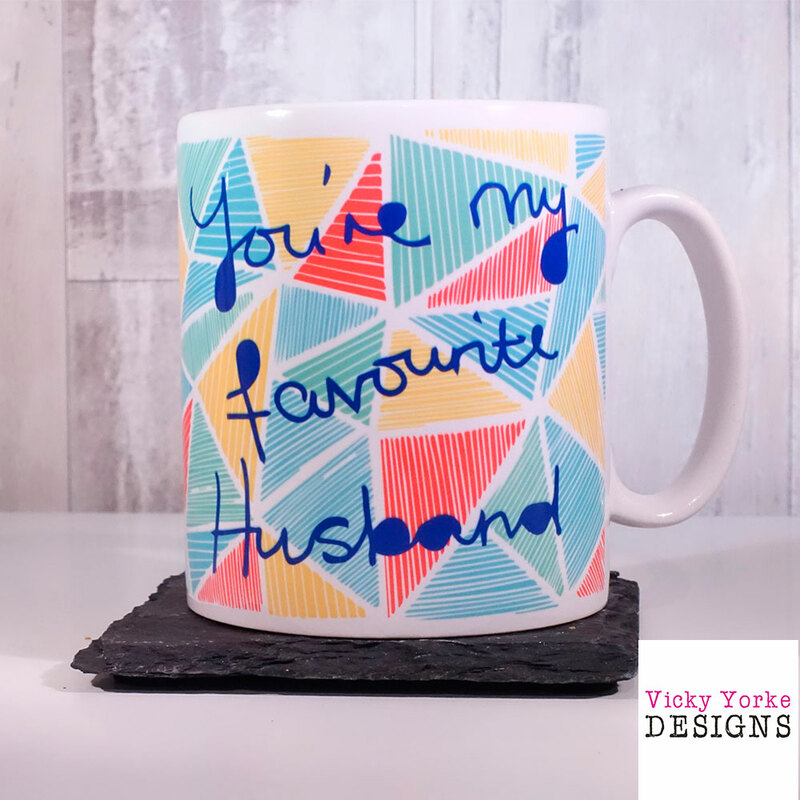 A lot of items are customisable, so visit my store for truly personal gifts for your family and friends!